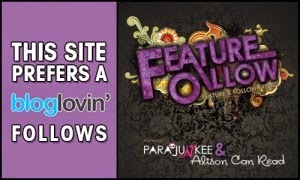 Feature & Follow is a weekly meme hosted by Parajunkee @Parajunkee's View and Alison @Alison Can Read. It's a fun meme for exploring new blogs and gaining new followers. I would go to the past instead of the future, may be the 18th and 19th century. I have always had that curiosity about how people used to live their lives in the past without any computers and smart phones and all the tech things you know, biggest of all, the INTERNET!